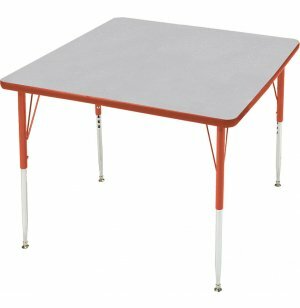 Edu Edge Square Activity Table 48x48"
Our activity tables are perfect for arts and crafts projects, coloring time, and reading time. 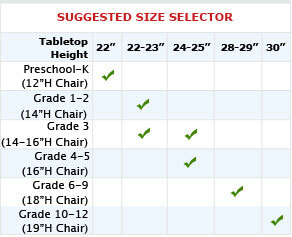 This activity table is 4 feet on each side and is height adjustable to accommodate groups of children of different sizes. 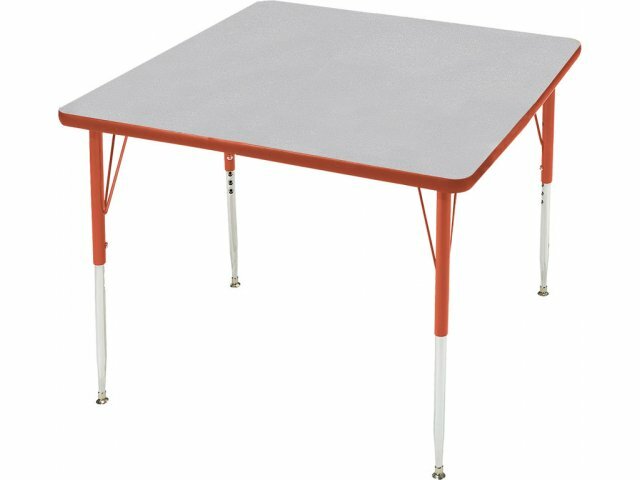 The activity table has a solid laminate top that is perfectly smooth and will stand up to years of use by resisting all types of scratches, cracks, or chips. The four legs are made from ultra-tough 18 gauge steel and the surface comes in the selection of great primary colors for educational appropriateness. 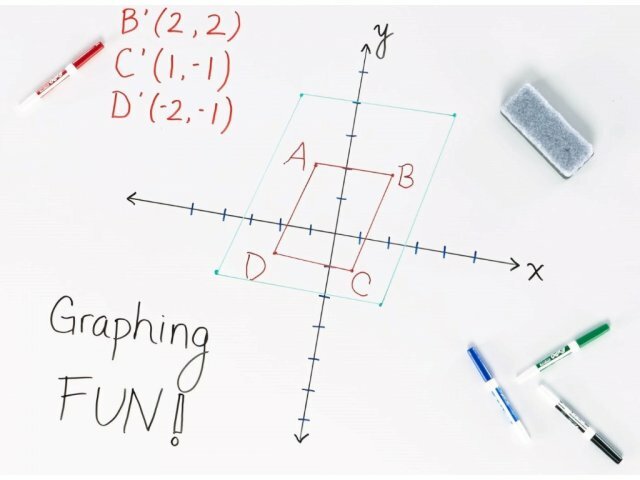 Kids will love working on these bright and cheerful activity tables, and you will love the convenience. Gray Nebula or Natural Wood Laminate finish. 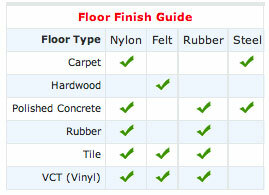 Matching tabletop trim and leg uppers in seven Educational Edge colors.